According to a recent release, Tal Behar (pics at end), Co-Founder & President of PMWC Silicon Valley, believes that the recently concluded JP Morgan Healthcare Conference in San Francisco (https://www.jpmorgan.com/global/healthcareconference) (January 7-10), which was jam-packed with major business announcements, sets the stage perfectly for PMWC’s 16th Precision Medicine World Conference, which will take place Sunday through Wednesday January 20-23 at the Santa Clara Convention Center in Silicon Valley. The annual JPMorgan Healthcare Conference is the largest and most informative healthcare investment symposium in the industry, bringing together industry leaders, emerging fast-growth companies, innovative technology creators, and members of the investment community. See below for links to media highlights and wrap-ups of the just-concluded JP Morgan Healthcare Conference. The program for the upcoming PMWC Conference in Silicon Valley can be reviewed here (https://www.pmwcintl.com/2019sv/program/) and registration at the pre-event rate can be accomplished here (https://www.pmwcintl.com/registration/?page_scroll=2019s). 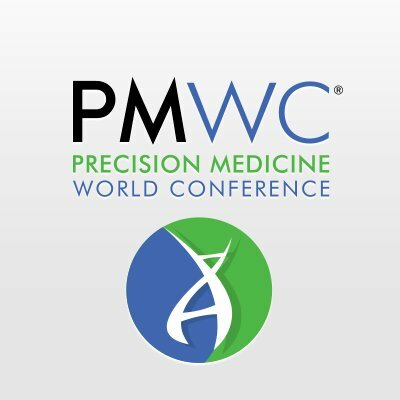 The theme of PMWC 2019 is “How Do We Accelerate Precision Medicine and Deliver on Its Promises?" 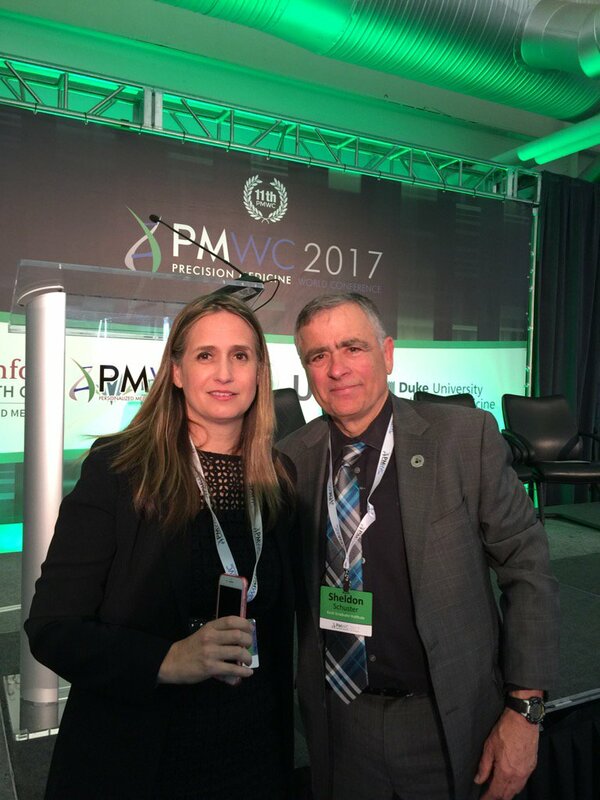 Ms. Behar said that the themes of the news highlights from the JPMorgan Healthcare conference align well with the upcoming PMWC agenda, and that this premier precision medicine conference will go beyond the buzz and dig deep to understand how to leverage data, genomics, and artificial intelligence (AI) to transform clinical care. PMWC 2019 Silicon Valley will focus on the relevance and developments of genomics medicine and new applications in clinical diagnostics, and contains several tracks that are dedicated to AI, immunotherapy, genomics medicine, and more. The presentation lineup includes speakers from commercial companies active in sequencing, as well as from the pharmaceutical sector. These speakers will be presenting in dedicated tracks covering the following tracks. The “AI/Machine Learning Track” will feature contributors from Google AI, Gilead, M2Gen, Numerate, Insitro, DNAnexus, GSK, Illumina, SOPHiA Genetics, FDA, Sirius, Roche, Siemens, Novartis, Data4Cure QIAGEN, Philips Healthcare, Recursion Pharma, Imec, Sunquest, Nucleai, Karius, CytoReason, Komodo Health, Molecular Health, Ariel Precision Medicine, Translational Software, nference, Blueprint Genetics, Tempus, MedySapiens, kelaHealth, Cytobank, Ayasdi, LifeOmic, Mendel, Insilico Medicine, IBM, Genialis, InnVentis, Omics Data Automation, InveniAI and many more. The “Immunotherapy Track” will feature presenters from Gritstone Oncology, UCSF, Stanford University, Yale University, Gilead, Eli Lilly, Bio-Rad, NIH, Aduro Biotech, Kite- a Gilead Company, Fate Therapeutics, Thermo Fisher Scientific, Immune Design, Merck Research, GeneCentric Therapeutics, Fluidigm, Macquarie University (Australia), University of Groningen (Netherlands), and more. The “Genomic Medicine Track” will highlight contributors from ASCO, OHSU, Regeneron, Duke University, Maccabi Medical Center (Israel), Genomic Health, Human Longevity, Providence St. Joseph Health, University of Rochester Medical Center, Indivumed, Karius, CellMax Life, Quest Dx, Guardant Health, InformedDNA, Anthem, UCSF, UCSD, UCLA Institute for Precision Health, Myriad, Geisinger, Fabric Genomics, Roche, and more. The “NGS Track” will include contributors from Illumina, Pacific Biosciences, Twist Bioscience, Stanford University, Boston Children Hospital, Adaptive Biotechnologies, Invivoscribe, Thermo Fisher Scientific, DNAnexus, Ancestry DNA, Agilent, and more. The “Patient Data Track” will feture presenters from Genetic Alliance, LunaDNA, MindStrong, Open Medicine Institute, Open Humans, Pfizer, Kaiser, Johns Hopkins, IQVIA, CMS, Stanford University, Ciitizen, CancerLinQ, and more. Conference attendees will also benefit from a wide representation of companies that provide products and services in support of the genetic testing and diagnostic solutions sector, including 10x Genomics, Agendia, Ambry Genetics, Bluebee, Blueprint Genetics, DNAnexus, Mission Bio, Illumina, Invitae, PacBio, SOPHiA Genetics, and Shivom to name a few. Organizers of PMWC look forward to welcoming you to this unique conference, where you can witness how announcements at JPMorgan Healthcare, as well as earlier announcements, translate into action in the clinical sector, and precision medicine in particular. To participate in this unprecedented gathering, please register for PMWC 2019 SV now! (PMWCintl.com/registration). A brief description of the many major announcements made at the JPMorgan Healthcare meeting is described below. A number of companies (sequencing platform, genetic testing, and data analysis) made exciting business-related announcements: Color is moving whole genome sequencing into clinical care through a 100,000-person initiative focused on polygenic risk and has formed a new partnership with NorthShore University HealthSystem providing free genetic testing to 10,000 patients via the DNA10K initiative; 10x Genomics trumpeted a $35M finance round, while Genomenon announced a $2.5M funding round. Invitae reported exceeding the company’s own prior guidance in testing volume and boasted its doubled testing volume year over year, while Francis deSouza (Illumina’s CEO) highlighted that ~12M consumer tests, or over 100 petabytes of data, were processed in 2018 on Illumina technology, which is more than their cumulative volume in the previous three years. These are believed to be truly astounding developments in the area of genomic medicine and beyond. Big M&A (mderger & acquisition) announcements in the pharmaceutical sector were Bristol-Myers Squibb (BMS) planning to buy Celgene’s hematology/immunology portfolio for $74 billion; Eli Lilly buying Loxo Oncology for $8 billion to go all-in on cancer genetics. Clearly, these examples provide an early signal of increased M&A activities to come in 2019. Along those same lines, Gilead announced that M&A will be its top capital allocation priority in 2019, while Amgen indicated that the company is ready to do deals in 2019 for new assets, beyond its in-house, genomic data-driven research. The optimism is underpinned by new product launch trends supporting healthy volume growth, offsetting lingering patent expiry concerns, and a generally robust pharma launch pipeline. Please plan to attend the upcoming PMWC 2019 to learn how these heady financial dealings will be translated into action in the clinical sector. This is the premier precision medicine conference in the world and is a not-to-be missed opportunity to advance your knowledge of developments in this enormously important area. Please see below for summaries of the JP Morgan Healthcare Conference that appeared in major media. To repeat, organizers of PMWC look forward to welcoming you to this unique conference, where you can witness how announcements at JPMorgan Healthcare, as well as earlier announcements, translate into action in the clinical sector, and precision medicine in particular. To participate in this unprecedented gathering, please register for PMWC 2019 SV now! (PMWCintl.com/registration). RIGHT: Gadi Behar, left, and Tal S. Behar started Silicom Ventures in 1999.